Eipix, makers of Dark Parables and Phantasmat, bring you a chilling continuation of the Myths of the World series. 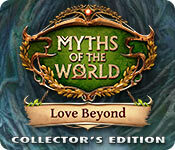 Myths of the World: Love Beyond Collector's Edition is rated 3.1 out of 5 by 21. Rated 5 out of 5 by GypsyBeLoved from Watch out for the witches What a great game! I usually know within the first 5 minutes if I'm going to love or hate the game and I knew this game was going to be a blast by 5 minutes and I purchased it! I was not wrong. The storyline is fun, the graphics are brilliant as well as the sound quality. This is a must have if you are a Myths of the World game lover. Long playing game. Took me about 6 hours to get through. Rated 5 out of 5 by Kluane from Really enjoyed this game I played the easy version just for fun and really enjoyed the game. The story line was good and enjoyed going around the sites. Lovely graphics so was a nice change from the "darker" games. Had such a hard time leaving the game, I almost played in one go. Will play again. This is a game worth buying. I rarely review games but had to with this one. Rated 5 out of 5 by sbechirian from The right thing to play This game is a nice catch for Valentine's Day!!! Rated 4 out of 5 by gamerchik22 from Love and Witches, what more could you want? The story line was interesting, the graphics were well done and the puzzles were fun. Rated 4 out of 5 by genenut from Enjoyable, but am I the only one who couldn't play the extras? Enjoyable game. Graphics were nice and crisp. Very colorful and not drab like some of the games. However, once I completed the game and went to the extras it would not let me access them. I ended up having to do a warm boot to get out. An update in the future? Hopefully. That's the only reason for the 3 on fun factor. Rated 4 out of 5 by WhiteladiesRd from Which Witches Switched? Just completed the full game. Another great myth, this time one from Germany. Even if Lorelei is not sitting on a rock, humming tunes, combing her hair and confusing boatsmen. I looked the figure up, found pictures of the surroundings, very well adapted. The sceneries were outstandingly beautiful! It was so peaceful up on the cliff, watching the Rhine flow by, waiting for a boat to pass. I had to tear myself away, after all I had a husband to save. 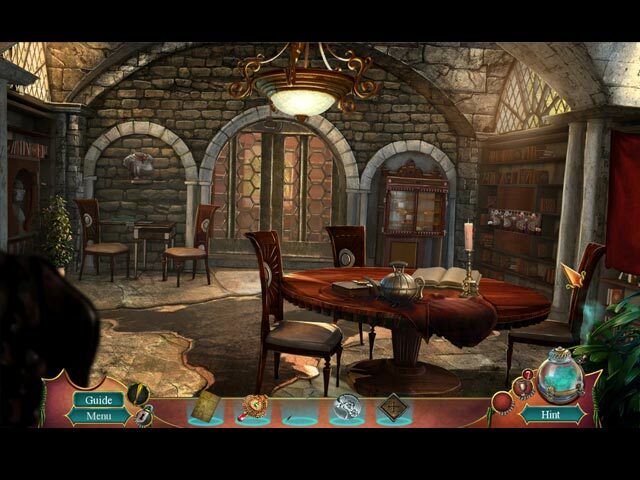 I’m glad I played on, as there was much more to discover: Skulls used as flower pots, crossing the river on a ferry, skeletons hanging from the ceiling, a witch with very human needs, breaking into a Throne Room, to name a few scenes and moments I thought were just brilliant. I’m a huge fan of HO’s, in this respect the game was a real treat. There were fantastic details as a corn cob when I had to look for a feather. So well done! The „Find 5“ opening of the HO in the city was entertaining, it’s always good to see what ideas come up. The mini-games were pretty good, well laid out and doable, not frustrating. I even enjoyed some I usually don’t really like, as the Simon Says on the fountain in the city. Having morphs in scenes instead of HO’s was a nice surprise, it was very well indicated whether there is a morph in the scene and when you found it, the difference was well visible. If you miss one, you can go back and look out for them after completing the game. Boring? Slow? Mileage may vary for every gamer. For me the game was fast and compelling! But: the music was far too idyllic and too relaxing. I switched it off and played tunes from „Of Fiends and Fairies“. I prefer motivating and inspiring music. The main game completes the story. In the Bonus Game we meet a new character on a different mission. I really enjoyed this offering of Myths of the World and am looking forward to the next one. Rated 4 out of 5 by nadaze2da from Been there, done that....but.... I am not a fan of the Myths of the World series. To me almost all of them do not meet the level of hype they receive. However, I kinda liked this game. Yes, there are glaring errors in logic. For instance....how did Margrit the witch meet you in the catacombs when only Lorelei's blood will open the door? Margrit did not have a vial of Lorelei's blood but you do in a locket, Or did I miss a plot twist there? Lorelei is a Dr. Jekyl, Miss Hyde. Some dark force makes her do things she doesn't want to do. Fortunately for her, you can help with that in the end. In the bonus game you are a general who must rally your 18 men to defeat the dark forces. But, because you brought in a witch to help, you are thrown into the paddy wagon. Escaping from there was easy, And, just in time to save the kingdom. In places, the graphics reminded of the old Island of Myst game which I liked very much. I don't listen to music so I can't comment on that. The puzzles and mini games were fun to me because they didn't tax my old brain and leave me frustrated. Some of the instructions for playing them were a little unclear to me and I had to refer to the SG. There is nothing different in the HOs that we haven't already had ad nauseum. I thought the voice acting was well done except for the soldier at the door of the castle. He sounded like a robot. The game was satisfying in length and I was glad to see the morphing objects within the scenes rather than the HOs. After completing the main story and the bonus, you can enter the souvenir room. You can replay the HOs and mini games and check out the usual CE additions. So, I am one of the few who will recommend this game. But, as always, take it for a spin yourself. Rated 3 out of 5 by Yurnmesis from Trial: Sigh! Time to Step Out of the Tired Box! Overall: I thought the graphics were better than some games I've played lately. It was the only thing the pushed me to finish the trial. Beautiful witch with lots of blonde hair encounters settler and he disappears, his wife must head to town for help. The town is well designed and the castle interior crafted with attention to detail and nicely decorated. The library was also well designed and crafted. Lots of moving back and forth and putting plus items together and an abundance of inventory items. I did notice some improvements but been there, seen all this before in Eipix games and it's becoming very boring and old! Since they pretty much got the graphics part down, maybe they might focus on animated characters and interesting and out of the box story lines that pull people into the story. I suggest a trial test of the game as some may enjoy it and some will want it to add to their Eipix collections, but I'm done with Eipix until they figure out that offering us the same thing isn't the doing the right thing. They need to bring in new talent to move them forward with innovation and craftsmanship. Their potential is amazing but sadly they aren't pushing the envelope in my opinion. I won't purchase this one either. 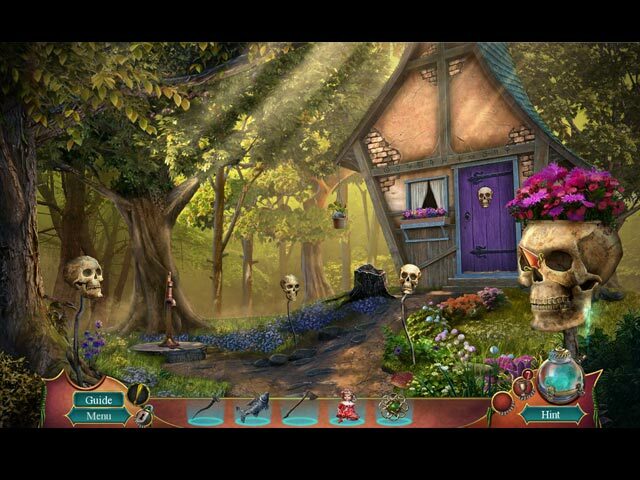 Beautiful witch with lots of blonde hair encounters settler and he disappears, his wife must head to town for help.The town is well designed and the castle interior crafted with attention to detail and nicely decorated. The library was also well designed and crafted. Lots of moving back and forth and putting plus items together and an abundance of inventory items. I did notice some improvements but been there, seen all this before in Eipix games and it's becoming very boring and old! Since they pretty much got the graphics part down, maybe they might focus on animated characters and interesting and out of the box story lines that pull people into the story. I suggest a trial test of the game as some may enjoy it and some will want it to add to their Eipix collections, but I'm done with Eipix until they figure out that offering us the same thing isn't the doing the right thing. They need to bring in new talent to move them forward with innovation and craftmanship. Their potential is amazing but sadly they aren't pushing the envelope in my opinion. I won't purchase this one either. Graphics: Absolutely beautiful with attention to detail and design Music: Okay turned down-from relaxing to sometimes repetitious Sounds: Appropriate to event Inventory: Sometimes overwhelmed and without clarity, but eventually items come together or are used Hint: Wonderful, fast, and sometimes transports, all good because a lot of back and forth Characters: Beautifully crafted, but mostly wooden, but a few with some animation-an improvement Voice overs: Very good Hidden Object Games: Good, some dark areas, come items lacked clarity as to what they were, but nicely crafted for the most part Mini Games: Not a fan, did a few but I found nothing new or interesting to attempt the rest, found those more juggling and rotating rather than strategy. 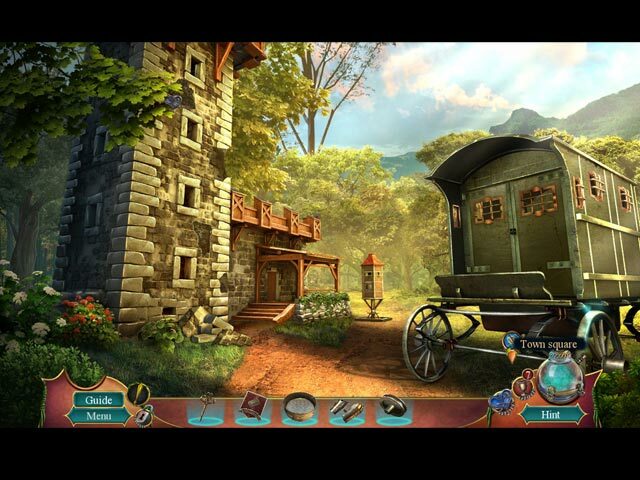 Too many vs. hidden object games.